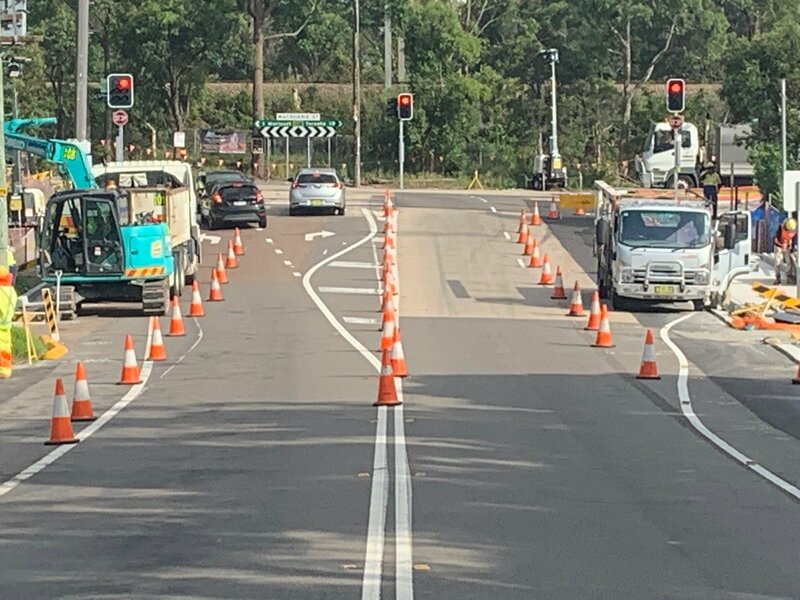 Work on the Fishery Point Road intersection at Morisset is back in full swing, but there's a couple of issues which I've raised with the RMS about fixing. Firstly, I believe the merge lane heading into Fishery Point Road is way too short and needs to be longer. I'm also concerned that the left-turn arrows are really hard to see if you're at the front of the queue coming out of Fishery Point Road. Thirdly, I was of the understanding that traffic turning right towards Dora Creek would have its own merge lane so traffic coming through from Morisset can continue ahead, similar to how the lights at Woodrising work. Still waiting on answers from the RMS but I'll let you know when I hear back.